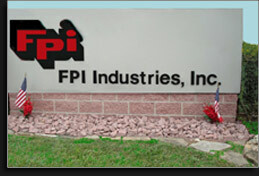 FPI Industries, Inc. has been machining and distributing industrial engineered plastics for nearly 40 years, serving a variety of industries. FPI Industries, Inc. has relentlessly invested in superior personnel and state-of-the-art equipment to generate either prototype or high volume production. FPI is an authorized fabricator and distributor for the major manufacturers of the plastics industry, enabling FPI to stock a hefty inventory and pass savings on to our clientele. Whether a customer requires full sheet, rod, tube, channel, angle, or custom-machined finished parts, FPI offers quality, a short lead time, and a competitive price. CNC Cutting, CNC Turning, CNC Routing, and CNC Milling, as well as conventional capabilities, shearing, and screw machining.